Pete Marsh Art - Landscape > Never been to my studio? Never been to my studio? If you have never been to my art studio here is a link to a 3D Virtual Tour of not just my studio but FaMAS Art Gallery and Studios. Just click on the word FaMAS below and enter the tour. Once you are in, turn right and look for Studio 5….feel free to come in and have a look around! The studio and gallery display change constantly so if you want to see what it looks like just get in touch to arrange a visit. I am not at the studio every day…deliveries to galleries, painting in the countryside and sketching at sound-checks all take me away from Studio 5…so it is best to make an appointment. 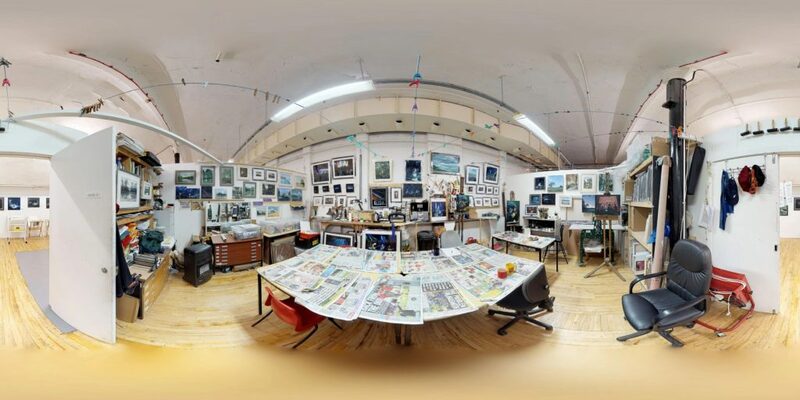 Enjoy browsing through the 3D Virtual Tour (big thanks to Graham from zeus360.co.uk for providing the tour).